View cart “Skull Helmet” has been added to your cart. 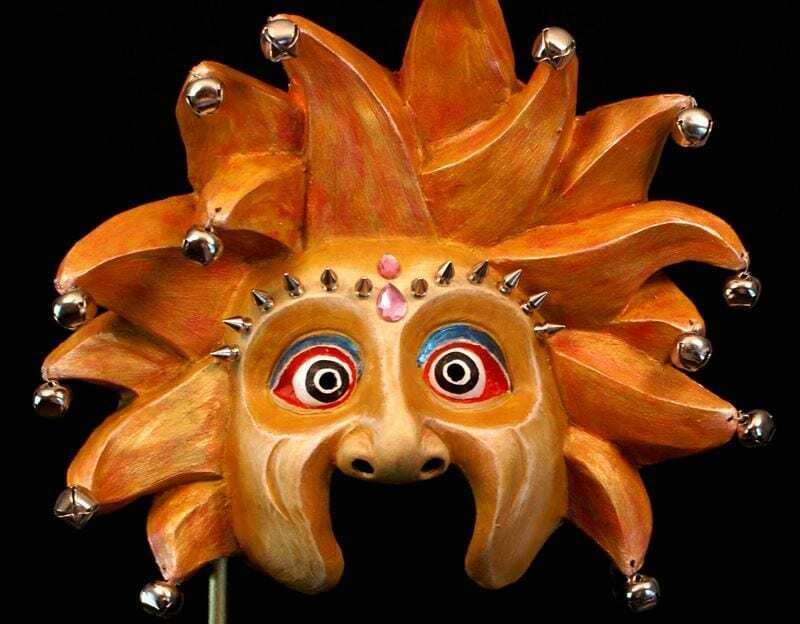 The sunny world mask was another mask created for a production of The Fantasticks. The concept for the production had the show set in a warehouse in New Orleans. There many masks surrounding the set and the characters often came out of the masks that were in storage. The journey through the sunny world was one in which many of the masks came to life. This sunny world mask is a contradiction in that it depicts a sun that has mixed feelings about the world it shines down upon. The original mask was mounted on a rod so that it could be held in front of the face but this one now has a strap so that it can be worn. The sun aspect of the mask makes for a nice piece for display as well. Masks of the sun have been a staple in both the performance world and the world decorative masks. They remind of better days, a world in which there is light and a time when darkness will not longer invade out lives.